Wader Quest: Another successful weekend, despite storm Brian's efforts to spoil it. Another successful weekend, despite storm Brian's efforts to spoil it. Storm Brian didn't affect Wader Quest Scotland in the form of Andrew Whitelee and Penny Insole, partly because the Scottish Ornithological Club Conference was indoors at the Atholl Palace Hotel in Pitlochry, but mainly because Brian didn't reach that far. 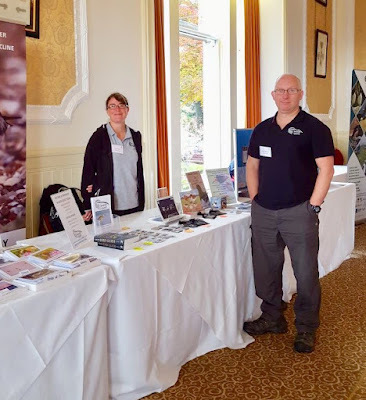 "This is the second year Wader Quest has attended the Scottish Ornithological Club conference at Pitlochry and it was nice to see familiar faces and to introduce ourselves to new people. People often come up to the stand and say "I'm sorry I've never heard of Wader Quest" and we always say "That's fine, that's why we are here, so you can find out about us." 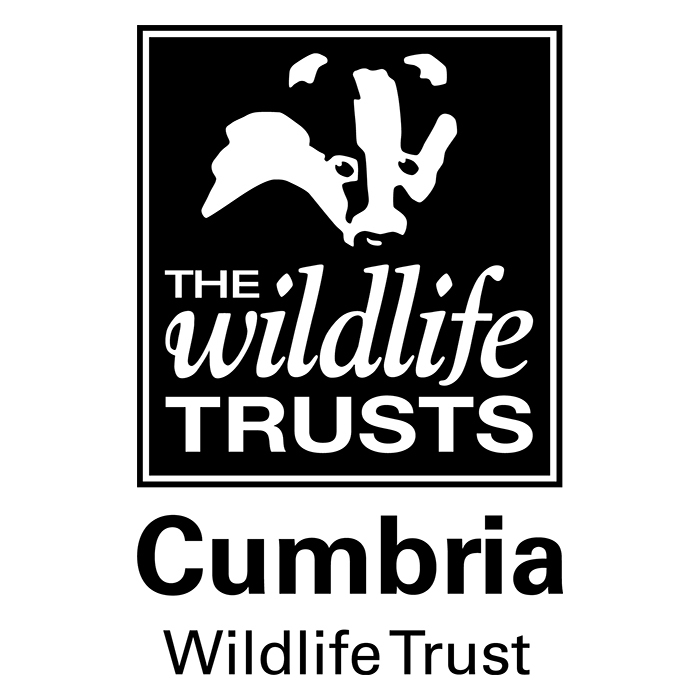 We had some very positive feedback from delegates who understand the plight of waders and identify with what we are trying to achieve. It would be great to be able to help on some Scottish projects, so if you know of any, please get in touch. There were some excellent talks at the event, the theme being migration. We learned lots about geolocators, GPS transmitters and the migration strategies of Arctic terns, cuckoos, sea birds, willow warblers and others. Roy Dennis was as inspirational as ever when talking about ospreys and conservation, we completely agree with his comment that we need more people out doing practical conservation instead of sitting at desks and computers (although of course there is a need for this too). However, as wader lovers, the highlight of the event was Jeroen Reneerkens talk on his work to colour-ring Sanderlings in their Greenland breeding grounds. It was amazing to hear how these birds dispersed to Orkney, Portugal, Mauritania and Namibia for the winter and how individual birds had been located en route in the Netherlands, the Mediterranean and Africa. 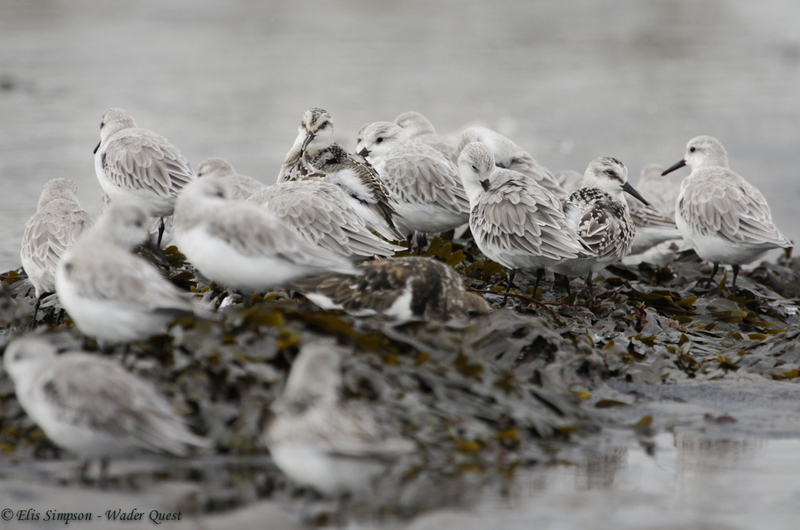 Sanderlings, sadly without colour leg rings - keep an eye out for them and let us know if you see any. 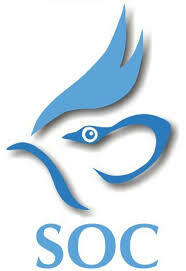 The SOC staff were brilliant and the food at the hotel was as good as ever. We look forward to going back to the conference next year." Visitors turning back as the sea breaches the road. We were thrilled to see our old friend the white Eurasian Curlew again this year out on the Saltings pretending to be an egret. 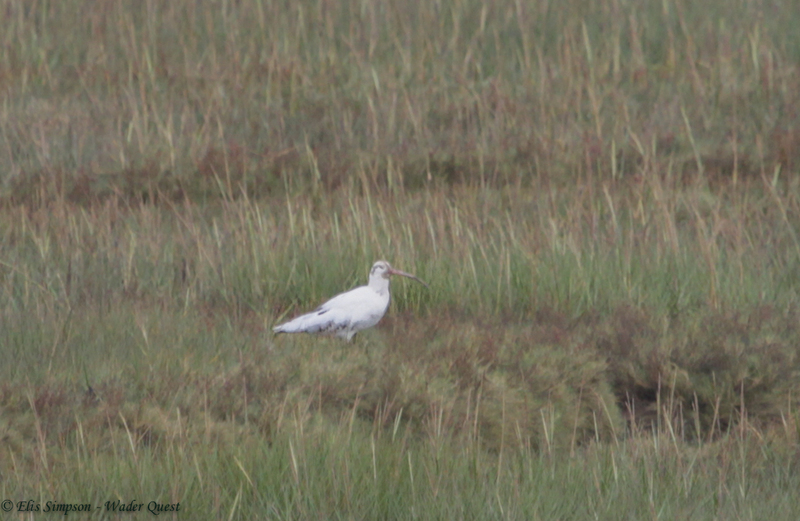 The white, presumably progressive greying, Eurasian Curlew. From the sea hide groups of waders were battling by against the wind. 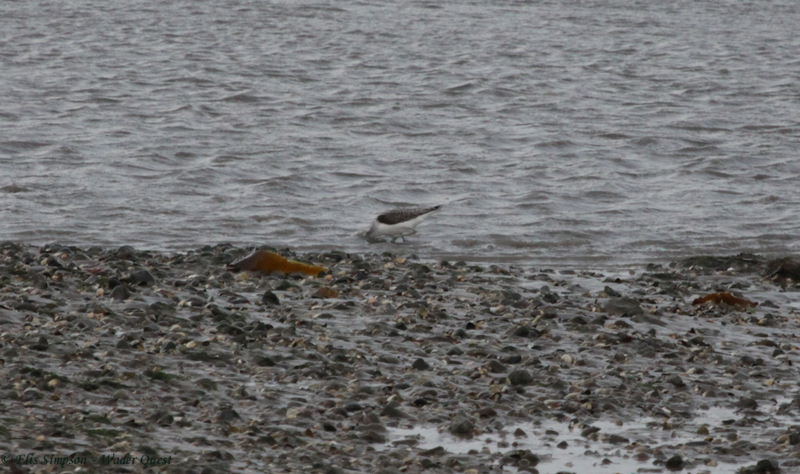 They were mostly Grey Plovers, but Ruddy Turnstone, Dunlin and Red Knots were scattered among them. 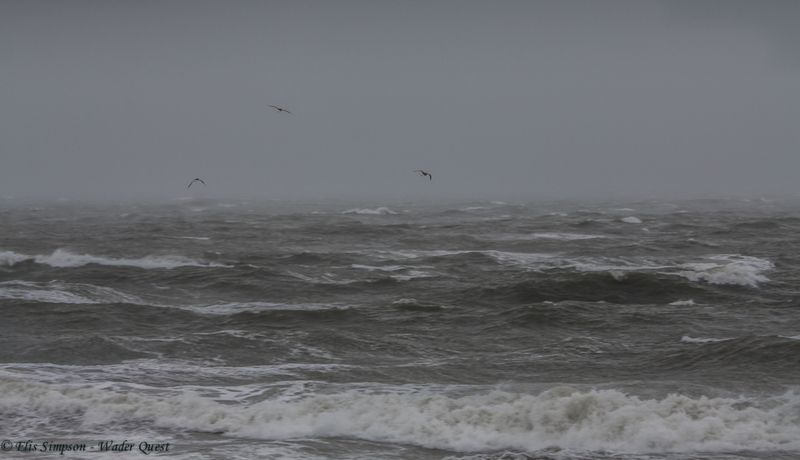 Grey Plovers against a grey sky above a grey and angry sea. 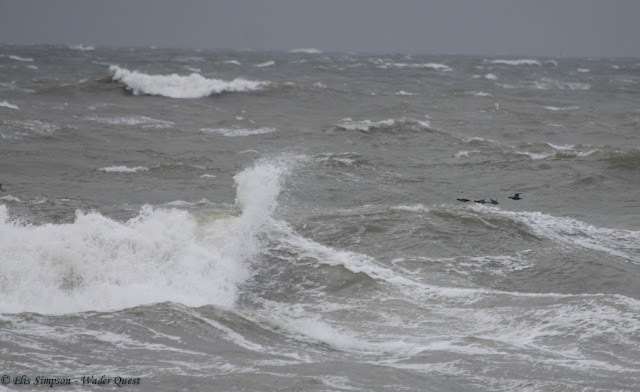 Rather more expected perhaps were the Common Scoter in a classically stormy looking scenario also battling against the wind. Late in the day we ventured out for a last look around for our phalarope and came across some Common Greenshanks feeding in, what was for us, an unusual manner. They reminded us of Grizzly Bears on the salmon run. They stood facing upstream in the fast flowing channel and seemed to be picking things off as they came by, lunging at them immersing their head in the water much like the bears do after a hapless salmon that passes too close. What exactly they were finding was hard to say but we had visions of displaced small crabs and the like tumbling out of control in the current and being picked off as they sped by. For our part it was delightful to be able to spend the weekend on the remote South Walney reserve enjoying the vigorous weather that Brian threw at us, mostly, it has to be admitted, from the comfort of the accommodation and a log burning stove with a warming cuppa." 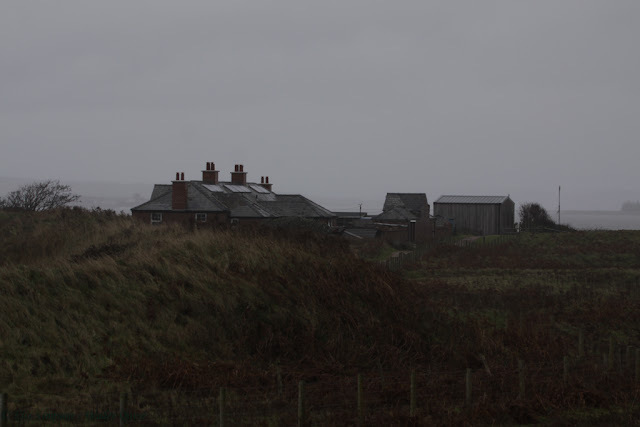 The South Walney reserve centre nestling in the dunes in the murk. The phalarope did not materialise and nor did it on Sunday although the weather was better with the rain staying away for the most part and a lower tide and no storm surge, so the day's events went ahead as planned. It is probably fair to say that Brian played a part in helping people decide to stay indoors so the turnout was less than hoped for, but those that did arrive enjoyed a good day with an interesting talk from Anthony Graham of the North Western Inshore Fisheries and Conservation Authority NWIFCA explaining how the organisation manages the shell fish reserves to maintain sufficient amounts for the birds while allowing local people to make a living. This was followed by an excellent round up of the identification features of the common waders to be found around Walney by event organiser Isaac Johnston at that in turn was followed by a practical session with the participants walking around the reserve to look for, and try to identify, the various waders for themselves. The day concluded with the Wader Quest talk; British Winter Waders which summarised their conservation status and indicated from whence they travel to be with us. 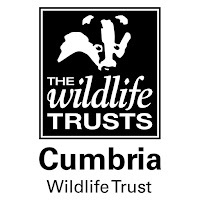 Many thanks to the SOC for allowing Wader Quest to have a stand at their annual conference and to Sarah Dalrymple the South Walney Warden and Isaac Johnston of the Cumbria Wildlife Trust for creating, and inviting us to attend, Walney's second wader festival.